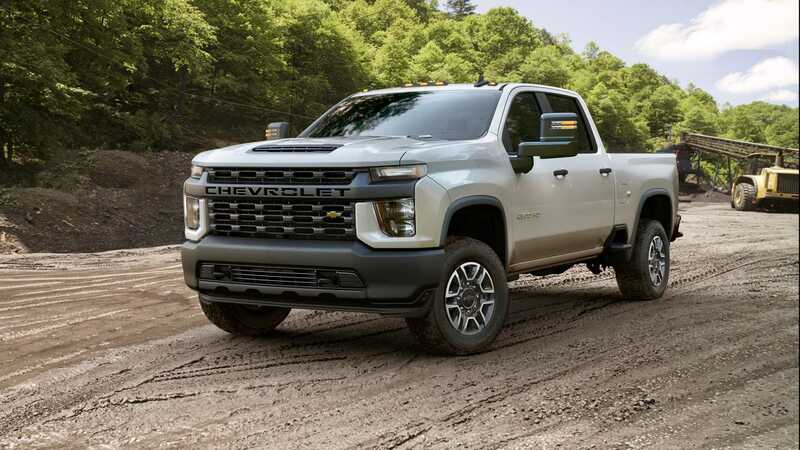 It has been a few months since the next Chevrolet Silverado HD was spotted out in the open, but apparently the company was in no hurry to give the updated family a proper introduction. Instead, it first revealed the GMC Sierra HD. But now the waiting is finally over, and we may have a look at what the next Silverado has on offer. The Silverado HD family consists of two models, the 2500HD and the 3000HD. Starting this year, both will be available in the following trim versions: Work Truck, Custom, LT, LTZ, and the range-topping High Country. The latter sports a unique front fascia, whereas the remaining four are only different in terms of their interior and grille design. Customers can choose from three available cab types (two-seat, four-seat and Crew Cab) and two truck bed sizes (2,089 mm / 6.85 ft. and 2,496 mm / 8.2 ft.). A major improvement in the design of the new Chevrolet Silverado HD is its stiffer, more durable frame that opens up new opportunities for cargo transportation. For instance, the base 3500HD can now tow a trailer weighing more than 16 metric tons (35,000 lb). In terms of standard equipment, both models get huge 15-inch projected displays and infotainment systems that can collect video signals from up to 15 external cameras. There are two engines to choose between. One is a 6.6-liter naturally aspirated gasoline engine rated at 407 hp (303 kW) and 629 Nm (464 lbft) of torque, linked to a six-speed manual transmission. The other is a 6.6-liter turbo diesel with 451 hp (336 kW) and 1234 Nm (910 lbft), paired with a 10-speed automatic. In the United States, the first pickups will arrive in the late summer of 2019.